This coins has been issued today (25th Sept). The coin is available in proof quality as well! 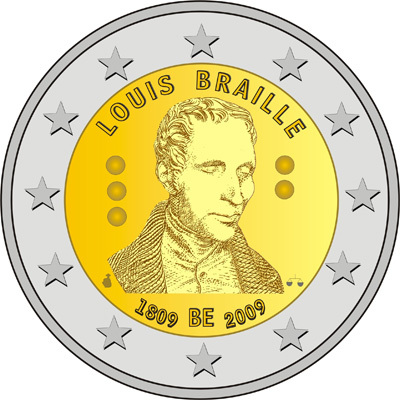 The coin features a portrait of Louis Braille, the inventor of braille, a world-wide system used by blind and visually impaired people for reading and writing.